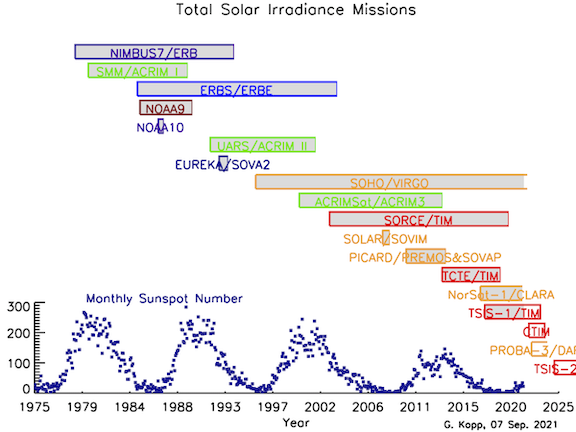 Back in 2012, Habibullo Abdussamatov, head of a space research lab at the Pulkovo observatory in Russia, predicted a sharp decline in total solar irradiance (TSI), and "new Little Ice Age" soon in the future. 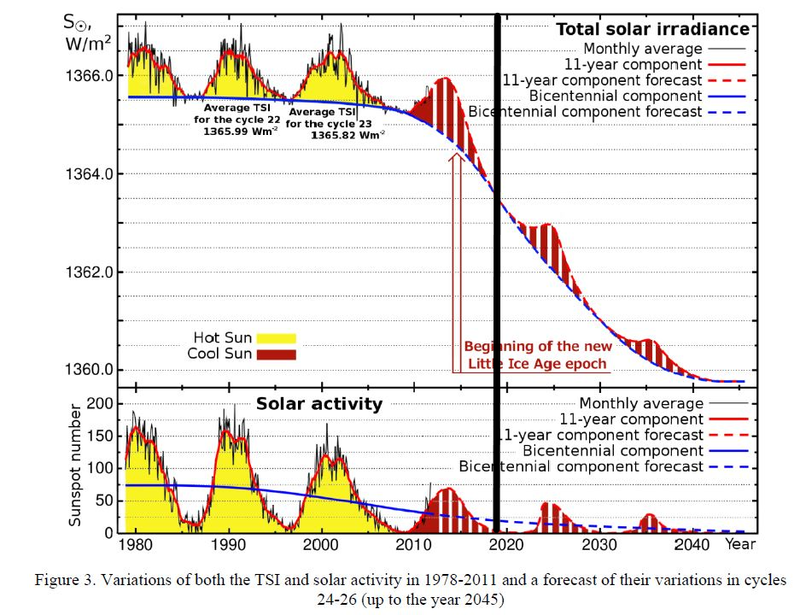 It got the deniers all tingley (not thinking that cooling for a decline in solar irradiance is natural and wouldn't say a thing about anthropogenic warming). The figure is from his 2012 paper; I added the black line to represent the present. 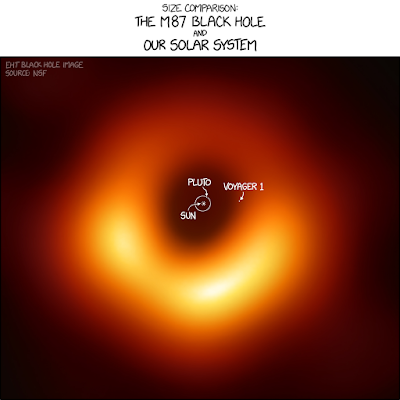 Abdussamtov was right that we'd now be in a sunspot minimum -- but that's a pretty easy prediction, given what's know about the length of the solar cycle. But his prediction for TSI is badly wrong, by a sizzling 2 W/m2. No change in the baseline. But Abdussamtov's TSI prediction for the present can be easily discerned from his graph: a change in the baseline TSI (zero sunspots) from 1365.5 W/m2 to 1363.5 W/m2 -- a drop of 2.0 W/m2. So, again, a different baseline, but not a change in baseline. The start of a solar grand minimum is anticipated in solar cycle 27 ± 1 in 2043 ± 11 and the beginning of phase of deep cooling in the new Little Ice Age in 2060 ± 11. PS: The question of the cooling consequences of a future Maunder Minimum has been studied. 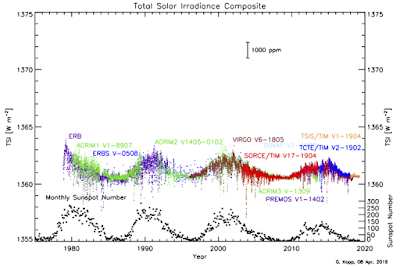 It was found that anthropogenic greenhouse gas warming easily swamps any cooling from a Maunder Minimum-like sun. Cooling by 2100 would only be, at most, 0.3 C below IPCC projections. "On the effect of a new grand minimum of solar activity on the future climate on Earth," G. Fuelner and S. Rahmstorf, Geo Res Lett vol. 37, L05707 2010. 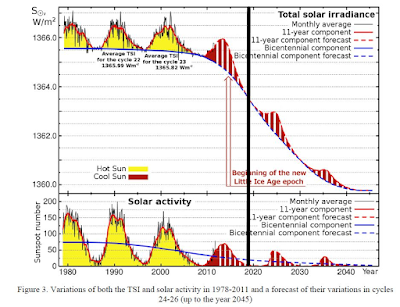 "What influence will future solar activity changes over the 21st century have on projected global near-surface temperature changes?" Gareth S. Jones, et al, JGR v 117, D05103 (2012) doi:10.1029/2011JD017013, 2012. She's different. From WaPo -- "Barr" is Rep. Garland “Andy” Barr (R-Ky.). Worse yet, Barr was lying. "...it turns out there are no active coal mines in Barr’s district anyway, which underscores her point." NOAA's determination of March's global average surface temperature is +1.30°C relative to 1880-1909. It's the 2nd warmest March in their records, and the 5th warmest month of any in their records. 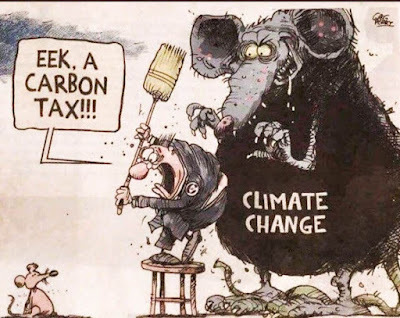 This week's Science magazine is reporting that several (at least eight) climate models being used as input to the IPCC's 6th Assessment Report have an exceptionally high climate sensitivity of about 5°C. 5°C (9°F) would, of course, be significant warming and a significant change from current scientific thinking. The article, by Paul Voosen, says modelers are working to understand which of their recent refinements are responsible for the surge. Modelers note it's still too early to know for sure, and that it's out-of-line with sensitivity estimates taken from past periods of climate change. ...incorporated a host of improvements in their next-generation model. It mimics the ocean in fine enough detail to directly simulate eddies, honing its representation of heat-carrying currents like the Gulf Stream. Its rendering of the El Niño cycle, the periodic warming of the equatorial Pacific Ocean, looks “dead on,” says Michael Winton, a GFDL oceanographer who helped lead the model's development. But for some reason, the world warms up faster with these improvements. Why? “We're kind of mystified,” Winton says. Right now, he says, the model's equilibrium sensitivity looks to be 5°C. Models from ETH Zurich, CCCM in Canada, GFDL and NCAR are all running hot. CMIP6, the Climate Model Intercomparison Model, where models all run the same scenarios and compare results, may sort out the issues, but it's running late, impacting deadlines for the first drafts of the 6AR. In assessing how fast climate may change, the next IPCC report probably won't lean as heavily on models as past reports did, says Thorsten Mauritsen, a climate scientist at Stockholm University and an IPCC author. It will look to other evidence as well, in particular a large study in preparation that will use ancient climates and observations of recent climate change to constrain sensitivity. IPCC is also not likely to give projections from all the models equal weight, Fyfe adds, instead weighing results by each model's credibility. The IPCC 6AR is scheduled to come out in 2021. Since Trump has done zero on health care, you have to wonder if this is due to Obamacare.... I don't know. "If you’ve been following climate news, you’ve probably heard about an approaching “tipping point” toward climate change — the point of no return after enough small changes brought us to certain disaster." The truth is, there is no such tipping point! Climate change doesn't work that way. It's incremental -- some change in temperature for a change in emitted CO2 (about 2/3°F per trillion short tons of CO2 emitted, in fact). In smart units, that's 1.5°C/TtC (trillion tonnes carbon emitted). From Matthews+ Nature 2009. This is a rather amazing equation, because it doesn't need to know how much CO2 goes into the ocean vs soil vs stays in the atmosphere. It doesn't explicitly need to know equilibrium climate sensitivity (the equilibrium temperature change after atmo CO2 doubles). These things cancel out (see the Matthews+ paper.) AFAIK, this is the relationship planners and policy makers use to determine how the world will stay below 1.5°C or 2.0°C or whatever. Back to the quote. There may be tipping points in the future, but it is not nearly as clear cut as the author writes. No one knows. They are very uncertain. (No, that's not a good thing.) In fact, I've already heard (good) scientists say that Arctic sea ice has probably already passed a tipping point in its melting -- that it's not going to recover. But there is no hard deadline by which we must solve climate change. It's not 12 years or 2030 or, now I'm seeing, 11.75 years. That's just not how climate change works. The sooner we cut emissions, the better. The later the worse. Partial cuts are better than none. 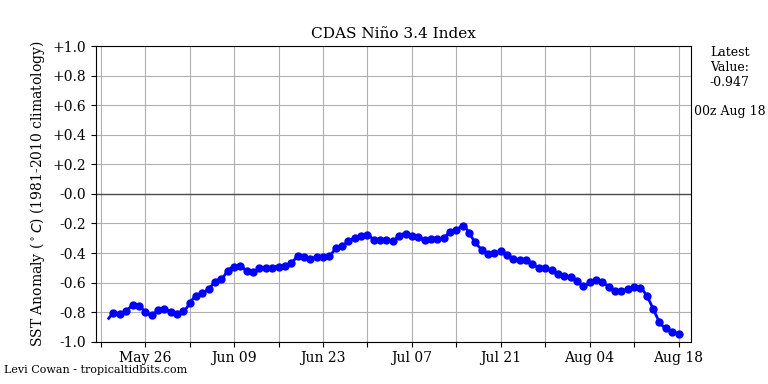 Perhaps it's the (not-quite-there-yet) El Nino, but global temperatures are heading back up. GISS found March to be the 3rd warmest March in their records, and the 6th warmest of any month since their records began in 1880. The land-only anomaly of 1.39°C relative to 1951-1980 was the 2nd highest for March, and the 4th highest of all month. Year-to-date 2019 is +0.12°C compared to last-year-to-date. The land-only 30-year trend is 0.24°C/decade, meaning the warming over the last three decades is 0.73°C (1.32°F). That's over 0.4°F each decade. 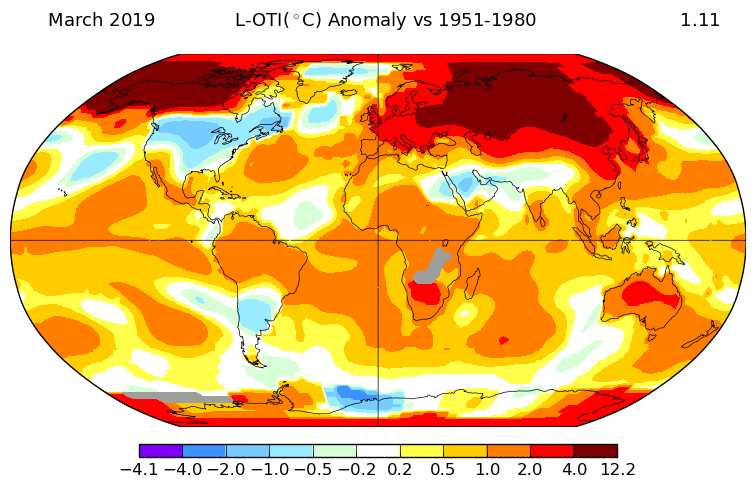 The Japanese Meteorological Association also found the globe to be the 3rd warmest March (since 1890), and the 12th warmest of all months. This is an amazing graph: those who say they follow no religion are now the leading "religious group" in the US. the freedom from social norms unleashed in the '60s. more education over the decades. Overly political, hypocritical behavior of Christian evangelicals. Richard Dawkins, Sam Harris, Christopher Hitchens, etc. Longer working hours = less time for traditional social activities such as church, mass or synagogue. Internet offers a sense of community and connection to the atheists and agnostics. Now, when will politicians start catering to the Religious Nones in the same way they cater to Christians? A zoomed out image of yesterday's black hole in galaxy Messier 87, 54 million light-years away. Via Reddit. Film finds hundreds of millions of American taxpayer dollars are wasted on an industry that causes more harm than good; an exposé on the high cost of fish hatcheries, fish farms, and human ignorance. "Gravitational Observatories Hunt for Lumpy Neutron Stars"